You will participate in 4 hours of on-demand CBD training with our expert instructors and guest speakers. 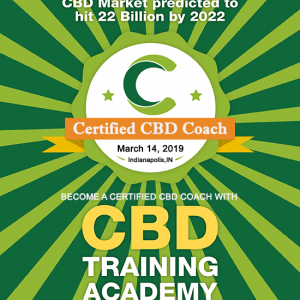 On-Demand CBD Training Academy Certified CBD Professional (formerly Expert) Program-Seminar – Self paced access on any device at any time. Order now, Access the course starting 12/17/18. You will participate in our On-Demand, FOUR HOUR Training Seminar with our expert instructors and guest speakers. Access the course for 12 months and learn at your own pace. You will receive our CBD Training Academy Welcome Kit by mail which will include CBD product samples from some of the best manufacturers in the industry.